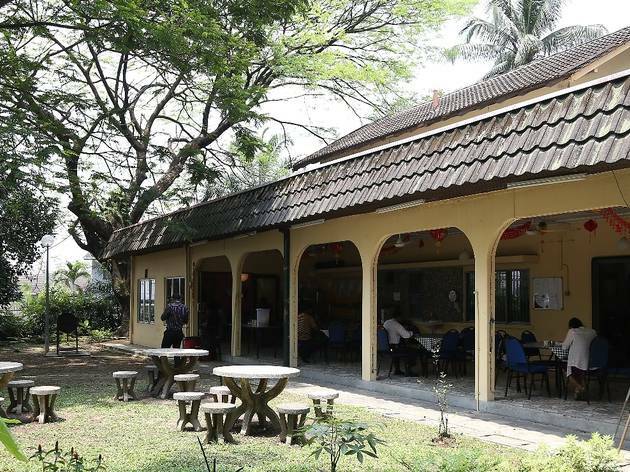 Universiti Malaya Academic Club (UMAC) may not sound like the most enticing suggestion for an Indian lunch, but bear no mistake, this is one of PJ’s bestkept secrets. 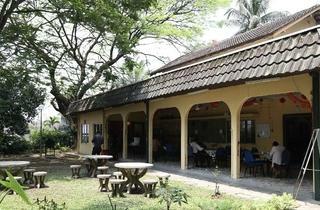 Part academic club, part banana leaf restaurant, UMAC runs in a bungalow that closes off half the space from the public to run the university’s club, founded in 1968 by Tunku Abdul Rahman. The other half is a six-month-old full-service restaurant overlooking the front yard. The food here is comfortingly, delightfully home-made, by which we mean everything is made with restrain without the overwhelm of ambition. Prices start at a mere RM5 with rice (refillable), curry, rasam, papadum and five vegetables (or seven on Tuesdays and Fridays). On your first visit, order a plate of mutton peratal or fried snake gourd, both specials at UMAC. While attentive service staff is a rarity at banana leaf restaurants, the staff here do their rounds to make sure customers are well-stocked. To make you feel even more at home, tea is served in a ceramic mug and comes foam-free with an ample amount of milk for a pale finish. Banana leaf meals are only available during the day.